The GM Series can be used in medical applications involving confocal microscopes and laser ophthalmic surgery, and industrial applications involving laser processing (welding/drilling), laser projection and imaging, and laser marking and scribing. 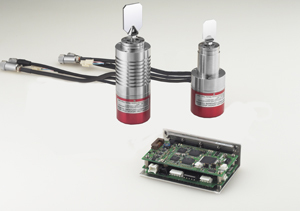 This series of digital laser/galvano scanners features high resolution and precision, no thermal drift, high speed, a small size, and a fully digital encoder and servo controller. 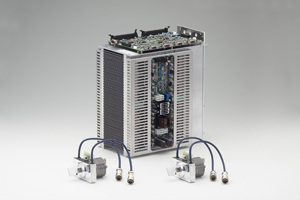 Like the GM series, the KP series is ideal for medical and industrial applications. On the medical side, this digital laser/galvano scanner is ideal for use in conjunction with confocal microscopes and in laser ophthalmic surgery. 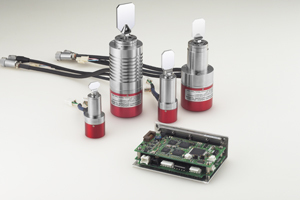 With industrial, this system is ideal for laser marking and scribing, and laser welding and drilling. This digital laser scanner features high precision and accuracy, no thermal drift, super high resolution (0.036 µrad), and a fully digital servo and controller. The LS series is a specialized digital laser/galvano scanner ideal for high-end industrial laser processing. 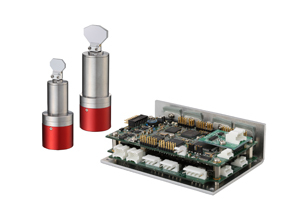 It features low temperature dependability, stable position repeatability, a fully digital servo control system, and no thermal drift when powered on. For additional information on our digital laser/galvano scanners, or to discuss your application, please contact us.